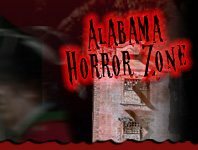 Surrounding the areas of Birmingham are some of Alabama's most noted Spook Walks and Haunted Trails. Don't know much about them? We've got you covered. There are a ton of real life ghosts and supernatural creatures dying for you to discover them out on these trails. Many local farmers take pride in all that they can bring to Halloween, so why not explore some of their property, while entertaining yourself? Beyond all of the real life scares, there are a ton of installed zombies and creepy creatures waiting to take a stab at your bravery. Zombie Walk Russellville, AL Russellville 213 days ago Rate Now!